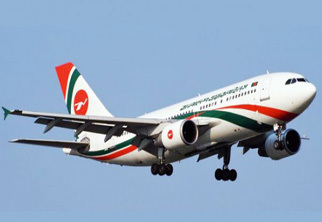 Biman Bangladesh Airlines on Wednesday announced discounted fare on domestic routes centering Eid-ul-Fitr to give people the opportunity of availing air travel during Eid holidays. The national flag carrier offers minimum Taka 2000 fare for one-way from Dhaka to Syedpur from June 19 to 21 and Taka 2000 from Dhaka to Rajshahi, Jashore, and Barishal while Taka 2300 to Chattogram and Sylhet between June 16 to 21, a press release said. On the other way, the one-way fare to Dhaka from Syedpur, Rajshahi, Jashore, Barishal and Sylhet will be Taka 2000 and to Dhaka from Chattogram and Sylhet is Taka 2300 between June 9 to June 15, it added. Shakil Meraj, general manager (public relation) of Biman informed that the national flag carrier would like to create opportunities for common people to avail air travel so that they can reach their dear ones during Eid in a hassle free journey.